"When Piedmont Classical High School (PCHS) opens its doors to students on August 19th, the traditional, back to basics school will look very unconventional. An opening ceremony will kick off three days of orientation, with students listening to speakers, attending break-out sessions, participating in homeroom competitions, and watching special staff performances. Each day will have a theme that supports one of PCHS’s pillars: citizenship, scholarship, and character. Greensboro City Councilman Jamal Fox will speak on the day dedicated to scholarship. Fox, a former NC A&T adjunct professor and the youngest person ever elected to the Greensboro City Council, will speak to students about the importance of education both inside and outside the classroom. Guilford County’s first classical charter high school, PCHS will be opening with 9th and 10th grades this fall. 11th and 12th grades will be added in subsequent years, allowing PCHS to grow to up to 900 students in grades 9-12 within 5 years. 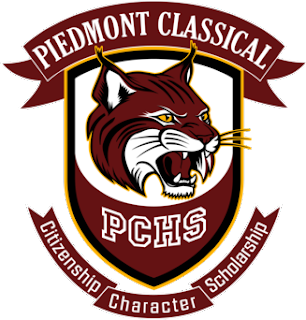 Piedmont Classical High School will use elements of a classical education model, blended with other teaching methodologies, to offer students a traditional, liberal arts education that will prepare them for anything they do after high school. In addition to the core graduation requirements, all students will be required to take Latin, logic, and a senior rhetoric class. Students will be supported by an optional study hall during the school day as well as a free after school study hall, where students can get help and support from tutors, teachers, and peers. Because charter schools do not have attendance zones, any student who resides in North Carolina and is eligible to attend public school will be eligible to attend PCHS. As a public charter school, PCHS will not charge tuition nor have any academic achievements required for admission. PCHS will also have a wide range of athletics including track, soccer, basketball, cross country and baseball. PCHS is currently accepting applications for rising 9th and 10th graders. Applications for enrollment will be accepted on a first come, first served basis. After all of the student spots are filled, applicants will be placed on a waiting list. Information sessions will be held on Monday, July 6th and Thursday July 23rd. All sessions will be held at 7:00 pm at C3 Church, 300 NC 68. More information, including applications for enrollment and employment, may be found on the website, www.piedmontclassical.com. "